Polymer of BluEarth-Es ES32 205/60 R16 has super low rolling resistance features. 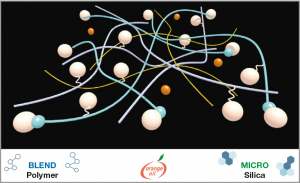 It’s a technology that controls chemical reactions of each compound at nano level. BluEarth-Es ES32 205/60 R16 well spread silica controls extreme heat for wet grip and long mileage. Diverse super low rolling resistance polymer fused with MICRO Silica makes tyre softer to have wider and stronger contact surface on wet and dry surfaces. Blend of deep lugs and sipes provide stability, water evacuation and anti-uneven wear. This blend also helps in noise reduction. High rigidity and proper edge volume Safety, Drainage on Wet roads. Wide Straight Grooves achieve anti-hydro, water draining on wet braking and straight driving/handling. Simple and Powerful shoulder block design brings reliable grip and brilliant durability. 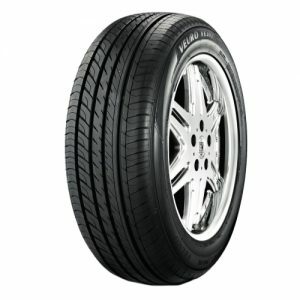 Yokohama BluEarth-Es ES32 205/60 R16 is a premium tyre. It has best safety and environment features, those who consider these two factors important should consider purchasing this pattern tyre. 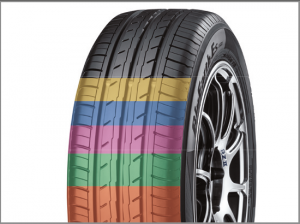 BluEarth-Es ES32 205/60 R16 is composed of a rubber blend based on natural orange oil instead of petroleum oils. Orange Oil technology provides flexibility and improves its grip, which is one of the important factors when driving on wet surfaces. The original “orange oil” in its composition makes tire’s rubber more flexible, resulting in an optimum contact area among tire and road, thus reducing irregular wear. BluEarth is also an environment-friendly tire. Three wide grooves structure running along the tyre keeps the vehicle on the right track. It's symmetrical tread pattern keeps the vehicle while driving straight and during dynamic cornering. Water flows smoothly through the cuts of tread blocks when driving on wet roads hence you get increased grip, especially when applying emergency brakes and pulling away. It’s new & enhanced rubber compound has a slow wear and low rolling resistance. BluEarth-Es ES32 205/60 R16 is composed of a “nano BLEND compound” which creates the best combination of grip, wear resistance, and fuel-saving. Orange Oil compound increases the contact surface and plays an important role in maintaining flexibility. 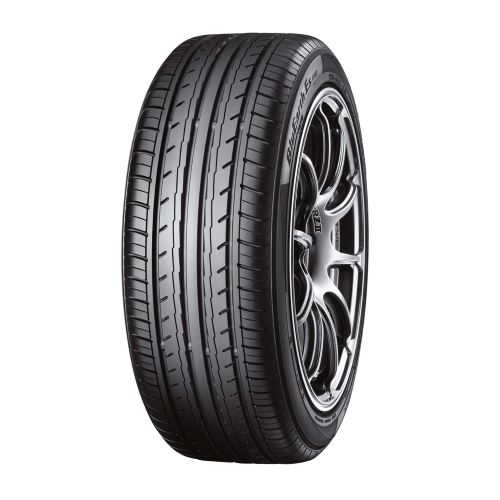 With BluEarth-Es ES32 205/60 R16 driver has precise control and enjoys reliable driving. 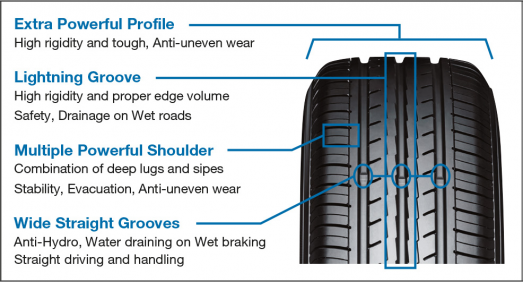 It’s new powerful tread design has enhanced wet grip &wear resistance. It also has significantly reduced noise. BluEarth-Es ES32 205/60 R16 has high durability, which means economical driving and fuel saving. It’s new profile and design reflects a bold impression of enhancing your car’s looks. The square and wide contact surface along with even contact pressure ensure better resistance to wear. Another great durable aspect is its minimal uneven wear. The nano BLEND compound has two surprisingly opposing attributes of increasing grip and excellent fuel saving. If you want to enhance the look and road grip of your car, Yokohama BluEarth-Es ES32 205/60 R16 is a recommended UPSIZE tyre for Toyota Prius. 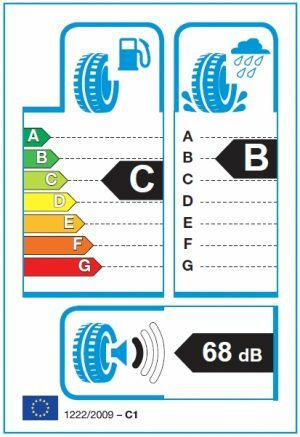 What does 205/60 R16 mean? 205/60 R16 is the tyre size. 205 is the maximum width of the tyre in milimetres(mm). When the vehicle is fully loaded its width can expand maximum upto 205 milimetres(mm). 60 is the ratio among width and height of the tyre from the its rim. it means that the height of the tyre is precisely 60% of the 205mm. Lower ratio improves road grip, but it reduces comfort to some extent. 16 represents the diameter of the rim. It is a measurement in inches("). This number should be rememberd as it is the measurement of the rims. It has to match exactly to what is mentioned in the car manual. This particular tyre is with the size of 205/60 R16. 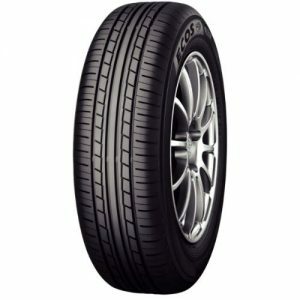 Yokohama BluEarth-Es ES32 205/60 R16 tyre is Premium tyre in Tyres classification. Yokohama BluEarth-Es ES32 205/60 R16 provides New Technology. The tyre is available in sizes from 17 to 18 inches at all our Tyre Point Outlets across Pakistan. 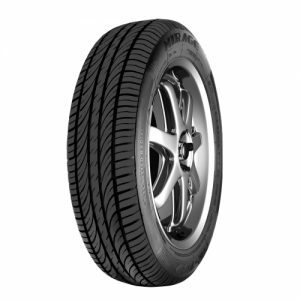 Yokohama BluEarth-Es ES32 205/60 R16 has a speed index of H. You can drive on this tyre at a maximum speed of 210 KM/H. The load index of this tyre is 112. This tyre can carry a maximum load upto 1120 Kgs. The labeling of the tire as per EU labeling standard. This tire has rolling resistance of class C , Wet Grip class is B, and noise level is 68 db.